It is with sincere appreciation and incredible humility, that the Olofsson family and Thanda remember one of the World’s Greatest Leaders of our time; a man who stood up tall when so many were on their knees; a man who sacrificed everything for his beliefs and an ideal; a man who paid the price for all South Africans and indeed many others around the world who faced similar oppression; a man who rose from humble beginnings in Mvezo to fulfill his destiny and that of his family name, to calm and then inspire and lead a nation to unexpected greatness. We extend our condolences to the Mandela family and remember on this sad day, the passing of a true Legend and Child of the World who was sent to us and did indeed make a difference in the lives of millions. We salute you Madiba, rest now finally in peace, and thank you!!! 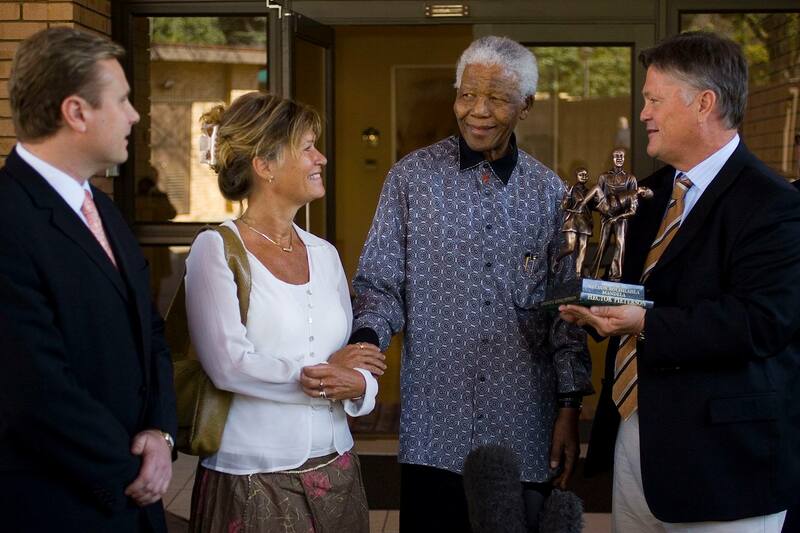 Picture: Dan & Christin Olofsson, Owners of Thanda and Founders of Thanda Foundation Trust, and Pierre Delvaux, Managing Director of Thanda, presenting the Hector Pieterson Memorial Statue to Nelson Mandela.